I struggled when I started writing this post today. 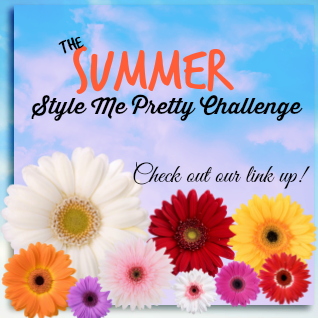 As I've mentioned numerous times in the past few weeks, I'm excitedly participating in Alison's Summer Style Me Pretty Challenge. On Sunday evening, the first outfit was sent out, and I eagerly opened my email to see.....shorts. Womp womp. If you've never been to Seattle, I must inform you that shorts weather doesn't start here until at least July, if we're lucky. I realize that Alison lives in Texas, 95% of the country has been enjoying warm weather for at least a month now, and this is a summer style challenge. I figured I could make do with swapping a few pieces out and move on to day two. The second outfit was released and....shorts. Hmm. The style challenge called for white bottoms, so I decided to wear my white boyfriend jeans. I took selfie photos and posted them to our Facebook group. Day one was okay, but in hindsight the outfit would have looked better with a belt or different shoes. Sadly, I realized it's time to get rid of the jeans from day two. I've lost a little bit of weight (not complaining, just observing :), and the pants look too big on me, even for boyfriend fit. I was really disappointed with my looks, and I seriously considered not putting them in this post. But then I realized two things. One, I'm not a fashion blogger. While I really enjoy reading fashion blogs every week, I'm never going to be that super stylish person, and I shouldn't compare myself to them. My original intention was to show what I wore, in the hopes that I might inspire another yoga/pajama pants wearing mama to get out of the sweats and into the style. Not every outfit I put on is going to be perfect. But as long as I'm trying, that's perfect enough! 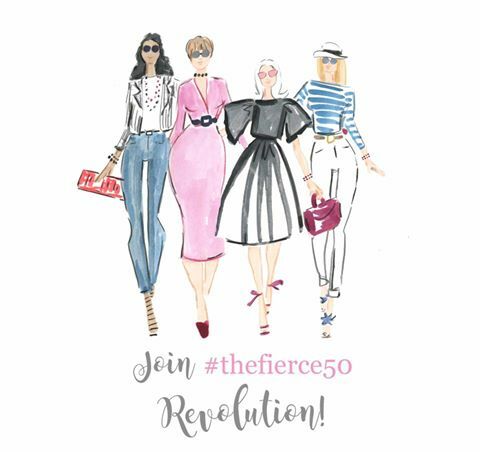 Each week during the challenge I'll be linking up with these fabulous ladies to show you what we wore that week. Go check everybody out! Thanks Deena! Let me know if you want specifics, but by August it's pretty nice around here. Sunny, high 70's to 80's. Bring sweatshirts for night time. Reading this, while feeling chilly in jeans and a sweatshirt, I totally understand not wanting to put on shorts! I have to correct you though Lana - I do think you are a fashion blogger! I have enjoyed your fashion posts, been impressed by your knowledge, and influenced by your posts -- i.e. your most inspired me to wear a jean jacket that hasn't gone anywhere but my closet for years, and I received a lot of compliments on it! You are making difference and helping those of us who need it to “get into the style”! I hope you keep it up! Susan, you are the best! Thanks so much for the encouragement, my friend! Nothing wrong with swaping out jeans for shorts to make it work. Both outfits are really cute. I love your everyday causal looks! Jill, you are too kind...but I'll take it! I swapped the shorts for jeans both days too, girls gotta work :) Hi again! Glad we're doing this together again. Hi Sarah! I'm excited too! I love how you are so honest in your post. I think you love the wash of your deim jacket! Looks great with your white jean - even if you think they are to big! Thanks Christy. I have had that denim jacket for so long - it's finally back in again. I have really started loving yellow lately. Your stripped top is so cute! Thanks - I love the color too! Thanks so much for reading and commenting. I did a huge spring cleaning of my closet, and I couldn't believe the stuff in there! Your honesty is refreshing and very real which is why I'm loving this challenge so far! Guess what? If you got that striped top at Target, I have the same one! :) Also, I'm so glad you are posting pics and followed through with it here on your blog. Love you honestly in this post, friend! Thanks Carrie! Yep, got it at Target. Love the neckline and the color. Great minds think alike...and shop at Target! You have such a great figure and the pants look amazing on you! That for me is like the hardest thing to find -- good pants that fit well! Yep, been there, done that. This too shall pass, but they're so much fun at this age! Susan, I totally think of you as a fashion blogger! Your site is one that I get lots of inspiration from. I hope you're enjoying the summer challenge! I'm glad I'm not the only person who is trying to out of my gym clothes rut. You look great in the denim jacket and stripe tee outfit. Thank you! Many days it's still hard to get out of the gym clothes, but I'm working on it! I think you look nice in both outfits. We are definitely our own worst critics! Yay for stepping out of your comfort zone and trying new things, I think that's great! Yes, I'm absolutely my own worst critic. Thanks for the nice words! Thanks Ada! You're always so kind. Thank you so much Kim! It is amazing how much better I feel when I put a little effort into my outfit. I could do without the selfies though! The point of the challenge is right in the name, to make it work for YOU and I think that what you did with both outfits turned out great! Thank you so much - it is definitely a challenge some days! Those white boyfriend jeans are great! And I totally agree with you, I am certainly not the most fashionable person and never will be, but if I inspire someone then I am happy! Thanks Laura. I have to disagree with you though - I think you are very fashionable and I love your outfits! In fact, today I posted the second installment of a video series in which I count down the oldest and most coveted items in my closet, and today's post features the jean jacket -- and in my first video, I mentioned my chucks! 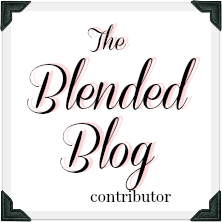 Thanks, again, for stopping by my blog, and I am so glad our paths have crossed! And I'll be back to check out more of your fashion posts! What a nice comment - thank you SO much! I just found your blog, and I really like it, so I'll be over visiting often!